Schedule a fun Lunch and Learn at your office! A fun and interactive Lunch and Learn (or Breakfast and Learn) program	with lots of eye-opening photos! From foundation to roof to everything	in between, what Inspectors see that Realtors typically do not! 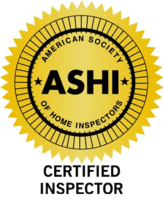 What is included and what is not included in AZ sanctioned inspections. How inspections benefit Realtors and Buyers. The interesting (and crazy) things Inspector see daily. You (or your sponsors) supply the Lunch and we’ll supply the Learn! Call 480-283-5642 or email	inspections@cox.net for more details and to schedule.